high angle of 2 of my friends on a balcony in Florida. They were talking and laughing while watching the sunset. When I walked outside and saw them like this, I knew this embodied my 6 words perfectly. My 2nd shot was originally a medium shot of my friends and I sitting on the couch but when I shot it and watched it back it looked very fake and unnatural. I decided on changing it to a birds eye view of my friends in a circle on the beach. This was such a fun day and I couldn't not get a clip of it for my video. For my third shot I did a medium shot of my parents driving because they are two of the most important people in my life. In the beginning, my 3rd shot was a high angle of my whole family at a birthday party but after watching it back, it just didn't really show what I wanted my video to be about. For my 4th shot I did a low angle, medium shot. I did this instead of just a low angle shot at dinner with friends because it looked a lot more fun and alive. For my 5th shot I was originally doing a high angle of just my friends but decided to change it to an extreme wide of me biking with 2 of my friends. This is something I love doing with my friends and it looked more interesting than my previous idea. For my 6th and final shot I stuck with the wide angle of my friends. Although, when filming, I had to change the location from the beach to the rooftop pool where I was staying. The sun was setting and they are just dancing around together. I think this shot exemplifies what I want my 6 word story to show. The 6 shots in my video represent the most important part of my life; the people in it. Because people, and the memories shared with them, are priceless. To watch my video, visit my VIDEO page. 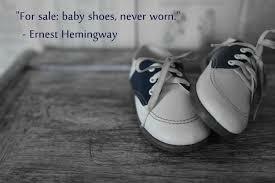 "For sale: baby shoes, never worn" -Ernest Hemingway. At first glance I was confused how this quote had come to be the basis of the famous six word story. My first thought was that the baby had died so the shoes were never worn. Although, after a little research using this website, I realized that it was all due to a bet. Hemingway was at lunch with a few author friends when he bet them each $10 that he could craft a novel in just six words. He wrote "For sale: baby shoes, never worn" on a napkin, passed it around the table, and then collected his winnings. Many people believe that Ernest Hemingway's idea was copied off of an ad he saw while working at the Newspaper. This conspiracy rooted from an ad that read, "For sale: baby carriage, never used". 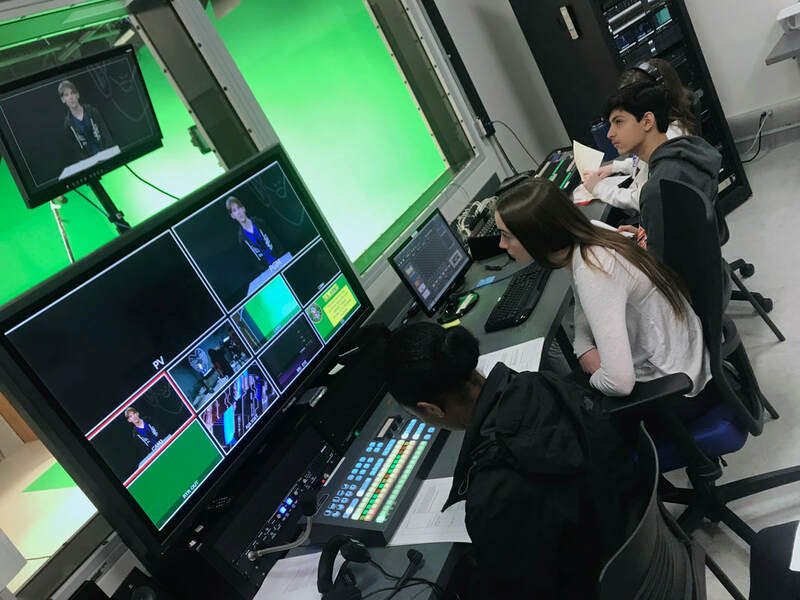 Despite these ideas, Ernest Hemingway's six words have paved the way for six word stories everywhere and continue to impact the world, and my Broadcast Tech class. Some six word stories that inspired me and I found interesting were, Some that inspired me were "As she fell, her mind wandered", "It cost too much, staying human", and "Streets full of water. Please advise". 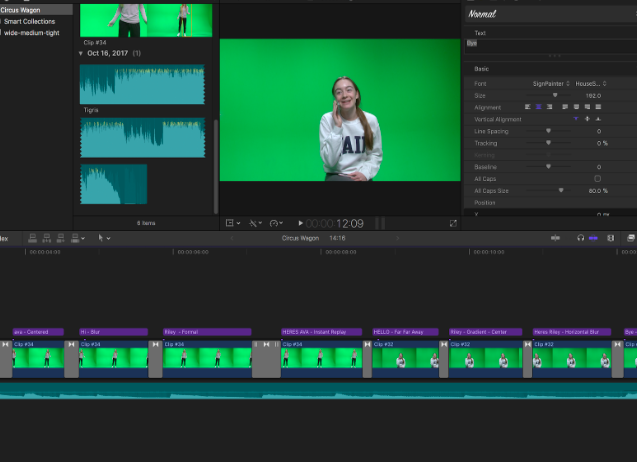 Yesterday my class learned all about the world of editing with the help of Final Cut Pro X. I've used iMove many times before but never Final Cut Pro, although it looks similar to iMovie, you can do so much more with it. I first started by adding the videos I filmed in class onto the computer. They were random clips that didn't go together but it was something to use to get the hang of editing. I then added transitions, titles, and music. It was all very overwhelming at the beginning but after playing around with it, it started to make sense. After changing text sizes, adding generators, and learning how to "blade". Although we have only scratched the surface on Final Cut Pro X, I think I have a little bit of a grasp on this whole editing thing. I learned a lot of important tips in the video. 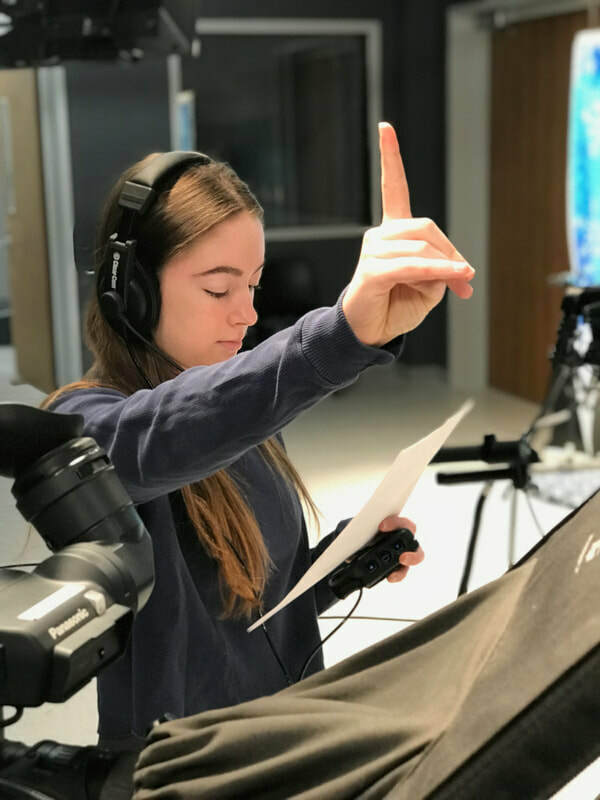 First, I learned that b-roll and sound bites are the core elements of broadcast stories and can really make your video come to life. Layering the b-roll and sound bites makes the video a lot more entertaining and appealing to the viewer. Another thing the video explained was the 3 most important shots in videography. This is the wide, medium, and tight shot. They give your viewer the overall setting as well as the rich detail of what your shooting. With these shots, I learned that sequences are vital to putting them shot together when editing. The video explained how when editing, if there aren't good shots from the field, there's nothing to edit. So when your shooting you need to be thinking about the editing process as well. When taking these 3 shots, the rule of thirds is another thing I learned, it's an easy way to make your shots visually appealing by making the view finder into a grid; and then taking your shots. Finally, the biggest tip from the video is that when shooting always bring headphones. They are key in getting good footage, bad sound is a bad video, especially if your doing an interview. I learned many other helpful tips from the video but these were the ones I think are most important. I had a lot of fun working in the TV studio. It was like nothing I'd ever done before. You don't realize how many parts go into a little 3 minute video until your in the studio doing it. There is so much teamwork involved as well, each job is so important and has to work cohesively together to create the video. I really liked being on the sound board. It was difficult at first, figuring out all of the right buttons when running AJA and sound checking the anchors, but once I did it for the second time; it was really fun. A job that was difficult for me was being the Anchor. I thought, how hard could it be, its just talking? Although, that's easier said than done. Having to emphasize your voice, then project it, not talking too fast, and still smile while 5 huge lights are beaming down on you; was difficult. 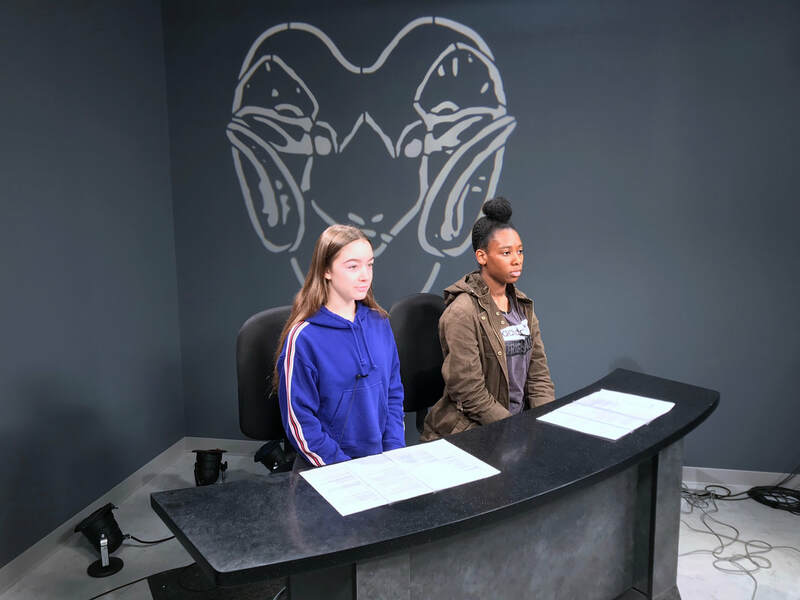 But, all in all I really enjoyed learning about all of the different jobs and although it seemed very scary and confusing at first, I loved being in the TV Studio. ​To see my broadcast video, visit my VIDEO page. This week I made a fun video. I took a trip down memory lane going through my camera roll to find pictures for the project. With the pictures and videos that I found, I made a trailer on iMovie. I really liked seeing all of my old pictures, it was a great way to look back on 2018 now that it's a new year. I've made a video on iMovie before, but never a trailer. It was difficult at first but I quickly got the hang of it just by playing around on it and getting help from Mr. Goble. It was a great first project to kick off the semester! To see my iAm video, visit my VIDEO page.